SOG has a saying that the best knife is the one that you have with you! Always be prepared with the new Key knife. This is the first lockback of its kind. Open up your awareness. Sog love the fact that sometimes we wish we had a knife to clean our fingers, cut a rope, open a box, sever a thread. Sog's new key knife just might save the day, unless of course you lock it in the trunk. SOG has a saying that the best knife is the one that you have with you! Always be prepared with the new Key knife. This is the first lockback of its kind. Open up your awareness. Sog love the fact that sometimes we wish we had a knife to clean our fingers, cut a rope, open a box, sever a thread. 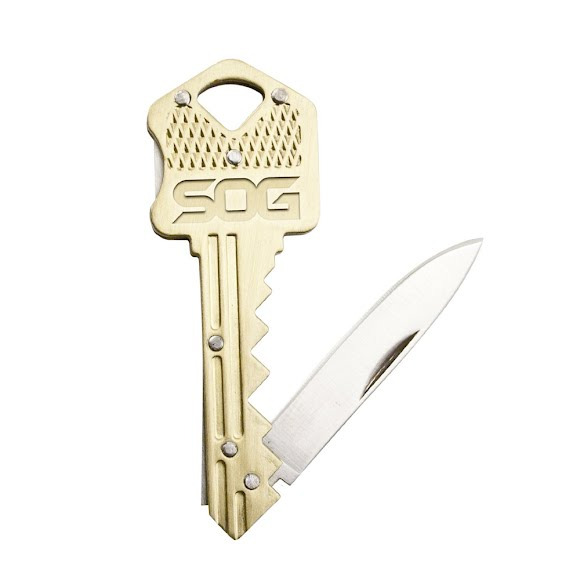 Sog&apos;s new key knife just might save the day, unless of course you lock it in the trunk.